Consumer Electronics is a rapidly growing industry that has ballooned in recent years thanks to the widespread usage of smartphones. According to the Consumer Technology Association (CTA), new data shows that approximately 87 percent of U.S. households own at least one smartphone. That’s second only to TVs, which are at 96 percent ownership in U.S. households, and followed by laptops at 72 percent. For the first time, the top three most commonly owned consumer electronics products in homes nationwide are screen devices. It’s therefore no surprise that many of the leading brands in the industry are companies that manufacture smartphones, personal computers, TVs and monitors. 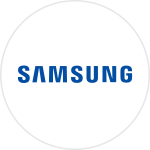 The following are the top ten brands in consumer electronics manufacturing in the U.S.
One of the most familiar brands in consumer electronics, Samsung develops and manufactures TVs, monitors, mobile devices (including smartphones), and home appliances. The company won top global market share in 2006, and has since continued to implement technological innovations to achieve annual sales of more than 400 million mobile devices around the globe. 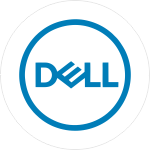 When it comes to consumer electronics manufacturers, Dell offers one of the most widespread array of products and has done so for decades. From laptops and desktops, to full workstations, servers, monitors and even accessories for PCs, the consumer electronics brand pushes innovation to the edge. Originally named the Hewlett-Packard Company, HP focuses on innovation, reinvention, transformative technologies and sustainability to drive their production of consumer electronics. The company manufactures laptops & tablets, desktops, printers, ink & toner, and displays & accessories. 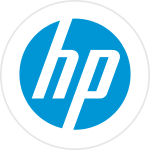 HP also offers business solutions such as security, software, VR and more. Steve Jobs certainly pioneered a new path in consumer electronics with Apple, and the company is still famed for its innovative design and user experience. 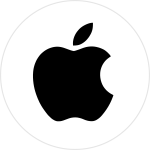 From personal computers and laptops with the most streamlined, cutting edge features, to tablets and smartphones that set the bar high for excellence in consumer electronics manufacturing, Apple is most definitely a top brand in the industry. According to Gartner, Apple leads the competition in the wearables space with an estimated 75% of market share. Additionally, the iPhone, Apple’s most profitable product, generates more than 10 times the profit of Samsung smartphones. As a close competitor to Samsung, LG also manufactures quality electronics such as mobile phones, TVs and monitors, computers, audio equipment and home appliances. 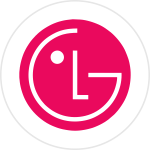 The user’s experience is key, and LG products are known for stylish and sleek design, responsive systems that are intuitive to the UX, and eco-friendly features. 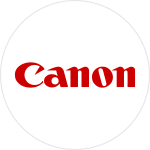 Taking consumer engagement to the next level, Canon is leading its competitors in e-tailer visibility with creative photo competitions to connect with its customers. The company’s digital imaging solutions include essentials such as cameras and camcorders, lenses, flashes, projectors, printers and other video and media solutions. Microscopes, industrial metrology systems, semiconductor lithography, and FPD lithography systems are all electronics equipment that Nikon produces in addition to its consumer electronics manufacturing of cameras, lenses, speedlights, binoculars and more. 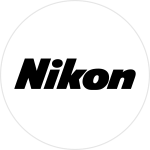 Nikon’s proprietary imaging technology encapsulates top picture control and image sensing along with EXPEED, Nikon’s proprietary image-processing engine. 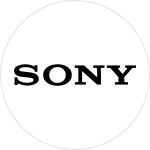 Producing the full gamut of consumer electronics from home theater equipment, cameras, speakers and headphones, in-car electronics, memory cards, cell phones, Playstation (games and consoles) and even music, Sony is incredibly versatile in this industry. However, it closed its online store last year and is also closing its brick-and-mortar stores to focus instead on Best Buy’s store-within-a-store model. Sony is redirecting its ecommerce operations to be handled by Best Buy. 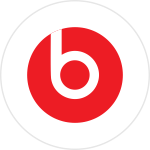 In 2006, Dr. Dre and Jimmy Lovine founded Beats, a premium consumer electronics brand that manufactures high-end audio equipment such as headphones, earphones and speakers. Beats also now offers audio software, technology and streaming music subscription services. It was acquired by Apple in 2014, but continues to focus on improving the experience of music listeners worldwide with its consumer electronics products. Travel, adventure, and the innovation of the camera technology produced by GoPro has transformed experiences worldwide in an accessible, inspiring way. 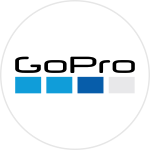 GoPro can can shoot in 4K, has a touch screen and voice control, video stabilization, and can film underwater up to 33 feet. More advanced versions offer additional features such as exposure control, HDR capture, and advanced wind noise reduction. It’s a must for the active or traveler’s lifestyle for filming experiences and creating vibrant memories or features. Hollingsworth is a leading provider of all 3PL services for consumer electronics and other industries, including the warehousing and distribution of electronics and their components. Contact us to discuss your needs for logistics and supply chain management for consumer electronics.